Lake Country Auto Care provides oil change service to Pewaukee, Hartland, Sussex, Delafield and other Waukesha County residents. Our ASE-certified mechanics are exceptionally skilled at performing fast and thorough oil changes. With over 30 years of industry experience, our Waukesha mechanics are able to efficiently perform oil changes on a wide range of foreign and domestic vehicles from 1970 to present day. The importance of oil changes can't be overlooked. At Lake Country Auto Care we’re meticulous when it comes to making sure all of the old oil is completely flushed out and brand new, high performance oil is replaced. When it comes to oil change places in Waukesha, you need skilled mechanics and affordable prices. At Lake Country Auto Care, we pride ourselves on our impeccable workmanship, honest prices and personalized service. One way to prepare your car for the winter months is with an oil change in the fall. The reason to winterize your car with an oil change is because the viscosity of the oil in your car changes with the temperature. When the cold Wisconsin weather hits, the motor oil gets thicker. Thicker oil is not something you want in your vehicle. Thick oil may lubricate the spaces between car parts, but it also increases the pressure of oil moving through these spaces while reducing the volume of oil. This leads to the oil pump working much harder. Meanwhile the parts of your car needing lubrication receive less oil. By getting an oil change, you’ll remove the oil suitable during the summer but causing problems in the winter. When you get your winter oil change at Lake Country Auto Care in Waukesha County, we’ll drain your vehicle’s oil, swap out the oil cylinder and put in oil with a thinner viscosity. Your car will then be able to handle the freezing temperatures. An oil change is also great if you’re just storing your vehicle for the winter. Don’t let the grime and dirt from the old oil sit in your car all winter long. Have Lake Country Auto Care change the oil and keep your car running faster and better for much longer. Not everyone knows how to change their oil. The average price range for getting your oil changed by an auto mechanic costs $25 - $50. Synthetic oil changes are higher in price because of the higher quality oil- even up to $70. If you’re paying more than $50 for a conventional oil change, you’re paying too much. Don’t let auto mechanics take advantage of you by having you pay twice as much as necessary for a simple oil change. While other auto repair shops will try to price gouge, with Lake Country Auto Care, expect to find fair and realistic pricing. Lake Country Auto Care provides highly rated and affordable auto service to customers throughout Waukesha County and the greater Milwaukee area. 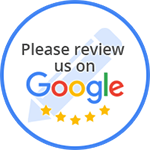 We’re physically located in Pewaukee, but if you live in Delafield or somewhere else nearby and need an oil change, come to the auto repair shop with a reputation for honesty and fair prices. Come to Lake Country Auto Care today. Contact our oil change Waukesha area mechanics now to request a service appointment for your vehicle and partner with a local business who cares as much about cars as we do about our customers.